UCLA International Institute, October 8, 2018 — In her brief and touching professional memoir, “The Accidental Sociologist in Asian American Studies,” Min Zhou describes how she fell into a career as a sociologist of Asian America. Zhou became responsible for her two younger siblings at age 10 in China, when both parents were sent to labor camps during the Cultural Revolution. She graduated from high school at 16 and immediately became a high school teacher in the countryside. After several years of teaching and working, she passed the first college entrance examinations held in China since the exams had been abolished in 1966. Zhou graduated from China’s prestigious Sun Yat-Sen University in Guangzhou in 1982 with a bachelor’s degree in English. Given a faculty position in her alma mater, she worked principally as an interpreter and tutor. It was then that she encountered sociology for the first time, interpreting for U.S. sociologists who traveled to China to teach graduate courses in a large-scale effort to revive the discipline in Chinese academia. At a time when studying abroad was virtually unthinkable in China, Zhou applied to a graduate program in sociology at the State University of New York (SUNY) at Albany. Intending to do an M.A. and return home, she ended up completing a Ph.D. in less than five years. But Zhou’s plans to return to China and spearhead a new field of Chinese diaspora studies there were derailed by the Tiananmen Square protests of June 1989 and the subsequent crackdown. After a brief sojourn in Europe, she took a job at Louisiana State University in Baton Rouge. Four years later, she joined UCLA with a joint appointment in Sociology and Asian American Studies (before the program became a department), where she has been ever since. Zhou entered the field of Asian American Studies rooted in sociology, not ethnic studies, and was an immigrant who spoke with an accent — causing her to be perceived as a non-American. “Then, I was viewed as a foreigner even by some of my own Asian American colleagues and students. Now I am accepted and fully assimilated into both the American and Asian American communities — it’s a process,” she remarks. Today Zhou is the Walter and Shirley Wang Endowed Chair in U.S.-China Relations and Communications at UCLA and, since November 2016, director of the Asia Pacific Center of the International Institute. She is a prolific scholar, having published 18 books and a multitude of journal articles and book chapters. She has won multiple book awards and, recently, a life achievement award from the American Sociological Association. Zhou’s most recent publications include “The Asian American Achievement Paradox” (with Lee/ Russell Sage Foundation Press, 2015, which won four major book awards); “The Rise of the New Second Generation” (with Bankston/ Polity, 2016); and “Contemporary Chinese Diasporas” (ed., Palgrave Macmillan, 2017). Zhou is also the co-editor of two widely used collections in Asian American Studies: “Contemporary Asian America: A Multidisciplinary Reader” (with Ocampo/ NYU Press, 2016, 3rd ed.) 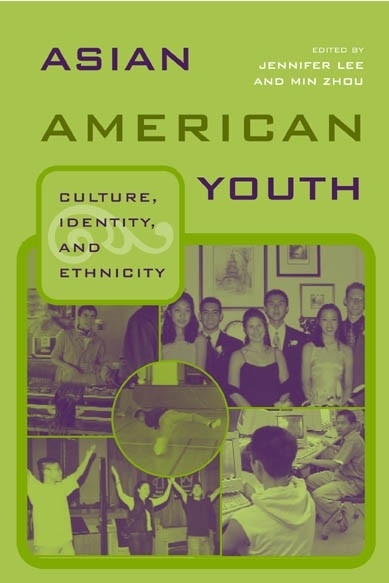 and “Asian American Youth” (with Lee/ Routledge, 2004, which won a major book award). “Contemporary Asian America” (already published in a third edition) was based on the materials that Zhou assembled to teach an introductory course on the contemporary Asian American community at UCLA. When she first taught Asian American studies courses at UCLA, she faced a steep learning curve. “I remember teaching my first introductory Asian American Studies class — I totally blew it! Students hated it,” she laughs. “It was because I taught it from a typical demography/sociology approach, with lots of statistics on fertility, demographic changes, etc.,” she explains. “Students didn’t want to hear those dry numbers; they wanted to take classes with rich content that they felt they could personally relate to.” Over time, she learned to weave her own experiences as an immigrant and mother of an Asian American child into her teaching, together with examples from her qualitative research — all of which resonate with her students and readers. In addition to teaching at UCLA, Zhou has taught courses in China, Korea and Singapore. As the Tan Lark Sye Chair Professor of Sociology at Nanyang Technological University in Singapore from 2013 to 2016, she also served as head of the sociology division and director of the Chinese Heritage Centre. The UCLA professor began visiting China regularly in the early 2000s and has forged enduring relationships with scholars and universities there. Although she writes in English, most of Zhou’s works have been translated (chiefly by her husband) and published in China. “I have found [publishing in two languages] a very effective way to inform both audiences. It certainly has an impact in China,” she remarks. As an organizer of international conferences in Asia and the U.S., Zhou has brought together scholars around the world who study migration and diasporic development. 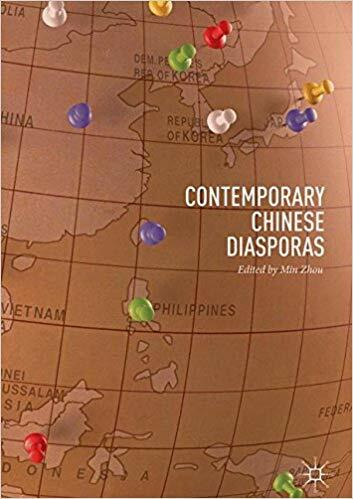 The outcome of one such conference at held at Nanyang Technological University in Singapore with scholars from around the world (mainland China, Hong Kong, Taiwan, Singapore, Australia, New Zealand, Great Britain, Germany, the Czech Republic, Canada and the U.S.) was the edited volume, “Contemporary Chinese Diasporas” (Palgrave MacMillan, 2017). The book is now being translated into Chinese to be published in China. Zhou expects to publish another edited volume based on the recent public event — “The Global Chinese Philanthropists Initiative (GCPI): Tsinghua Forum” — held at Tsinghua University in Beijing in June 2018. The GCPI Tsinghua Forum was co-organized by the UCLA Asia Pacific Center and the Center for Chinese Entrepreneur Studies of Tsinghua University. The forum examined the giving patterns of first- and second-generation Chinese and Chinese American philanthropists and the relationship between diasporic Chinese philanthropy and higher education in China and the U.S. 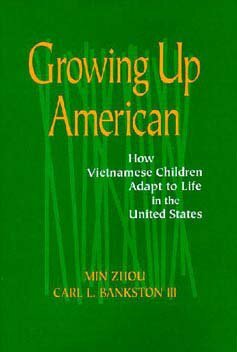 The UCLA scholar has since written several books about diasporic communities of both Vietnamese and Chinese immigrants in the United States, including “Growing Up American: How Vietnamese Children Adapt to Life in the United States” (with Bankston / Russell Sage Foundation Press, 1998) and “Contemporary Chinese America: Immigration, Ethnicity and Community Transformation“ (Temple University Press, 2009). The ethnic enclave in New Orleans, she explains, remained the center of the Vietnamese community even when some of the co-ethnic members achieved middle-class status and moved out to surrounding suburbs. As a result, middle-class resources supported local churches, local businesses and neighborhood organizations, helping less well-off first-generation Vietnamese refugees to succeed, while creating an ethnic social environment conducive to educational achievement for their children. “In Asian American communities, some new immigrants are kind of forced to be in ethnic enclaves because of their language limitations, but because of that, they build their own network of support and control and produce ethnic resources that are helpful for their mobility,” observes Zhou. “These are some of the things that you cannot take for granted when you go into a community — you discover them,” she adds. 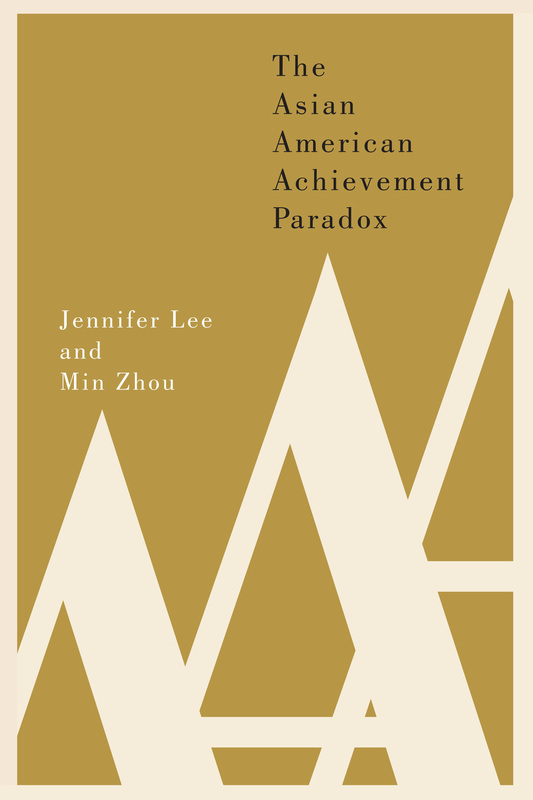 Zhou’s latest work, co-authored with Jennifer Lee, “The Asian American Achievement Paradox” (Russell Sage, 2015), has won multiple book awards. 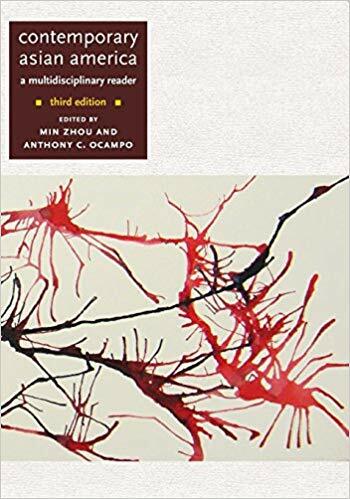 The book dispels the “the model minority” myth by looking at how culture and structural components intersect to support achievement and how stereotypes affect Asian Americans. Ever busy, Zhou is currently working on several research projects. The first is a study of the impact of out-migration on the culture and economic development of migrant-sending communities in the Jiangmen region of China, from which the overwhelming majority (roughly 70 percent) of the Chinese immigrants to U.S. in the late 19th and early 20th centuries originated. Since Zhou joined the Asia Pacific Center (APC) in late 2016, the Center has continued to support a broad array of research, teaching and public programs. The center sponsors a number of programs and initiatives. The Program on Central Asia, an interdisciplinary and inter-regional community at UCLA for the study of Central Asia, sponsors lectures and an active graduate student workshop. The thriving Taiwan Studies Program organizes faculty and student exchanges, a lecture series on Taiwan and conferences and workshops. In the past year, the APC has also begun several collaborative projects. A collaboration with the UCLA Center for India and South Asia on Chinese and Indian entrepreneurship includes workshops and a public symposium in which both scholars and entrepreneurs participate. A second collaborative project has a team of sociologists at Chinese University Hong Kong working with APC to study the impacts of migration and integration among both highly skilled migrants from mainland China in Hong Kong and professional migrants from Hong Kong in mainland China. Still another project involves faculty and student exchanges with the sociology department of Zhejiang University, China. APC also launched a Hong Kong Studies program in November 2017, which Zhou hopes to expand through fundraising over the next year or so. 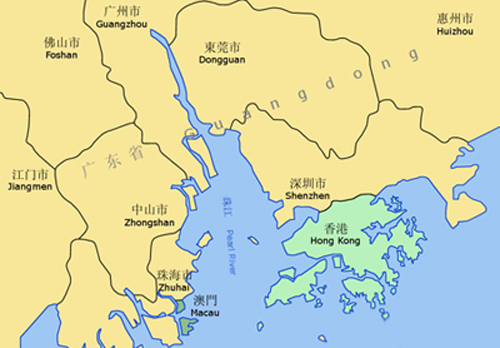 The program focuses on Hong Kong, but extends beyond Hong Kong into Macau and major cities in the Pearl River Delta region, also known as the Greater Bay Area of South China. The idea, she explains, is to look at regional development in the Greater Bay Area more broadly and engage with scholars in Hong Kong, Macau and mainland China through China’s One Belt One Road initiative. “That’s going to be exciting,” she comments. Map of Pearl River Delta Area. Source: Croquant via Wikimedia Commons, 2007. CC BY 3.0. In addition, APC is working collaboratively with the Global Chinese Philanthropy Initiative (GCPI) to advance an information-sharing and networking “ecosystem” among Chinese philanthropists in China and the United States. APC helped create the GCPI website in 2017 and is currently working to build an academic research collaborative on Chinese philanthropy that will involve scholars from China, the U.S. and other nations with large Chinese diaspora populations. In fact, Zhou hopes to eventually extend the scholarly component of the GCPI network to include Chinese philanthropists in South East Asia. “There are between 45 and 50 million people of Chinese descent living outside of China, and nearly three quarters of them are in Southeast Asia,” she points out. She is also passionate about community outreach to greater Los Angeles and proactively seeks partnerships and collaboration with the local community to enrich the center’s programming. Given her rich experience in conducting research on international migration and diasporic communities, Zhou is thinking that she might eventually write novels based on the amazing stories that she has heard from her research as a scholar and her own lived experience as an immigrant. “But that’s for when I retire!” says the scholar with a slew of research projects already in the pipeline.